Measurements | Illingworth & Rodkin, Inc. Measurement of existing conditions is often the starting point of any project and having the proper equipment is only the beginning of conducting a useful and successful measurement survey. At Illingworth & Rodkin, we have the expertise to develop and implement our measurement strategies around the needs of the project. 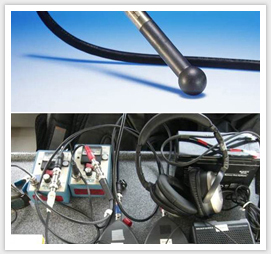 Our staff is well-trained in the measurement of airborne and underwater noise, groundborne vibration, and air quality.